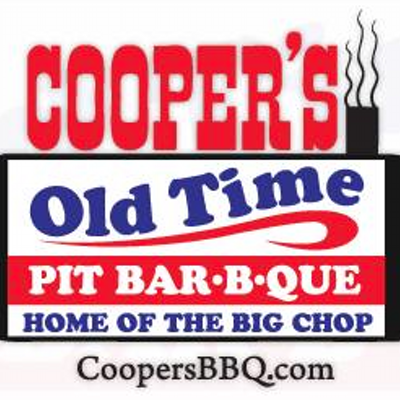 We're stoked to announce Cooper's Old Time Pit Bar-B-Que (Austin, TX) will have a booth at this year's 5th annual Gettin' Sauced! festival! Cooper's is a longtime Texas joint out of Llano, with newer locations in New Braunfels & Fort Worth; and they are about to set up shop in Austin on Congress Avenue (Wanna know more about their Austin location? Check out our Q&A with them!)! Help us welcome them to Austin by stopping by their booth, trying their BBQ, & hanging out with them. And be sure to follow them on Facebook and Twitter! August 2 Texas Q Tours trip! 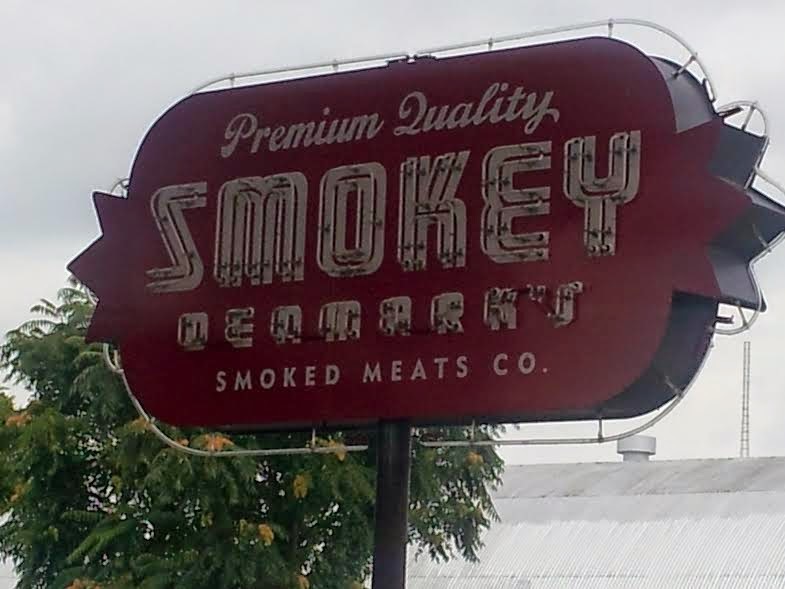 TBD (Lockhart, TX) - BBQ joint to be chosen by attendees! Tickets are $150 each. As always, tickets are all-inclusive, non-refundable, and transferable. Itinerary subject to change. Trip subject to cancellation. If cancelled, ticket will be fully refunded. You can purchase via the PayPal button below. If you wish to pay via another medium, email us. Hope to see you August 2! *NOTE: We are taking reservations for future public tours. Provided we have a minimum of 8 people, we will lead a tour on any date for which we have availability. Email us if you would like to schedule a tour. Get your family/friends together, and let us take you on a tour! Rise & shine! We're off today for a public Texas Q Tours trip right here in Austin. 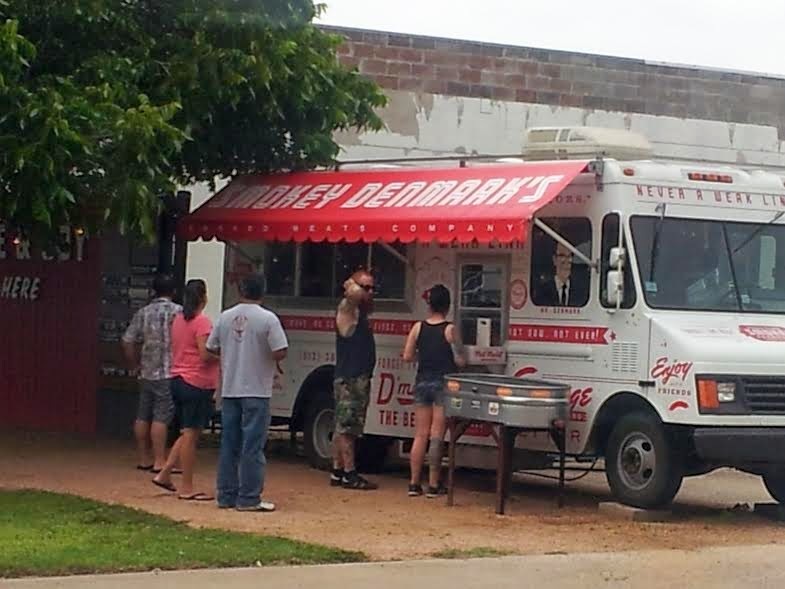 We're hitting up 2 BBQ trailers (Kerlin & la Barbecue) & getting a 1-hour, guided tour of Town Lake. 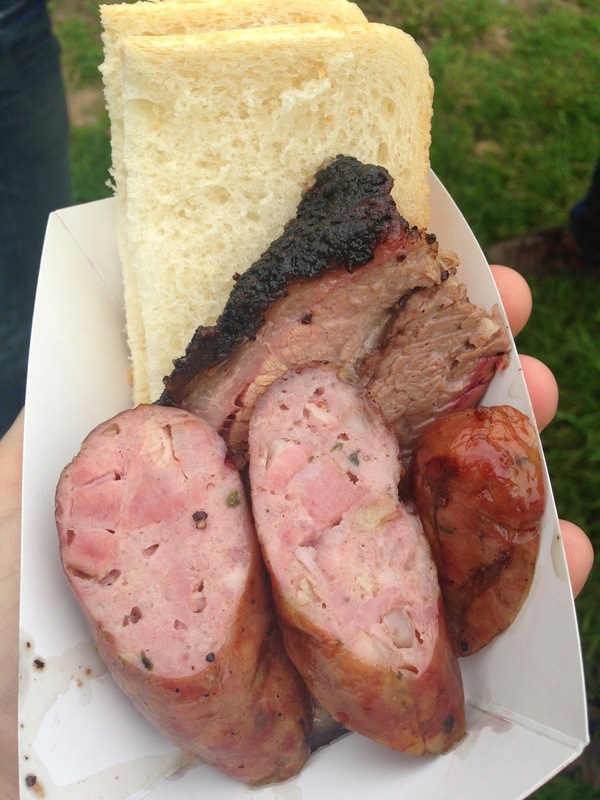 Follow vicariously via Twitter: @TexasQTours and @ManUpTexasBBQ! I was coming back from the airport yesterday to check out Micklethwait’s and John Mueller’s BBQ and went down 5th street and found a great BBQ place that y’all don’t have on your Blog. I think it’s really worth a visit. 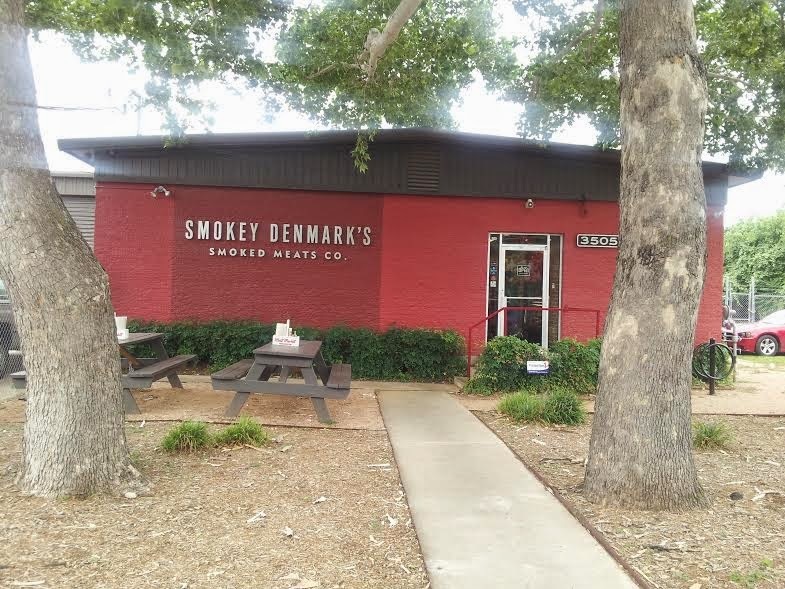 It’s called Smokey Denmark’s. They have a wild game processing facility (see building photo) and they have a BBQ truck. They smoke with Post Oak (my favorite) and they have an excellent product and very friendly folks there. I was so taken back by why I hadn’t heard of this place before. Man, it was good, I hope you think so too! 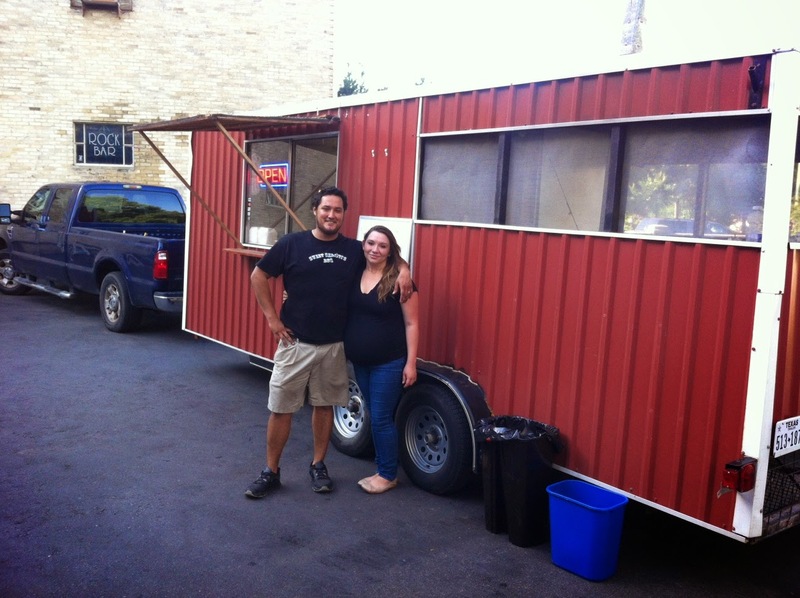 San Antonio has a new BBQ trailer: Sweet Christi's BBQ opened for business on June 14. 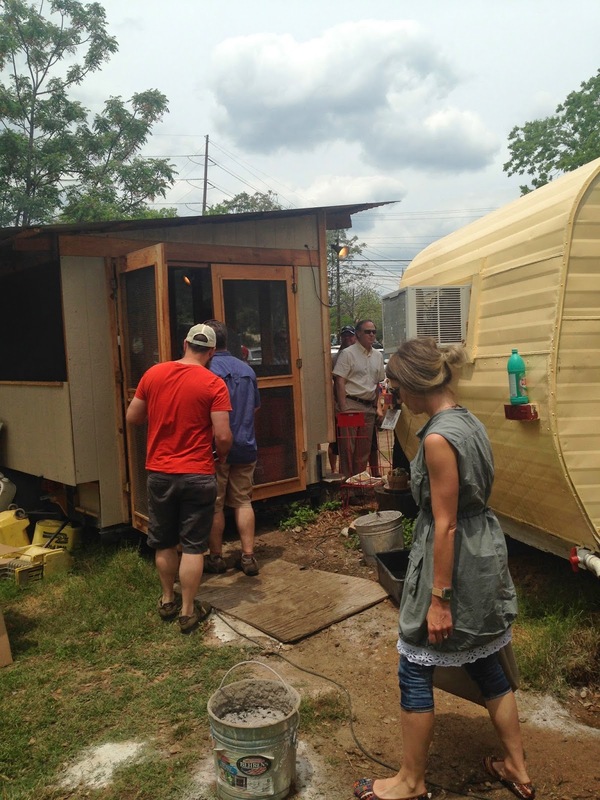 The 20-foot trailer has a 12-foot kitchen and an 8-foot pit room. The trailer is parked at various spots in the Alamo City, usually from noon until they sell out (which, to this point, has been around 3PM). Follow them on Twitter to find out where they're parked! 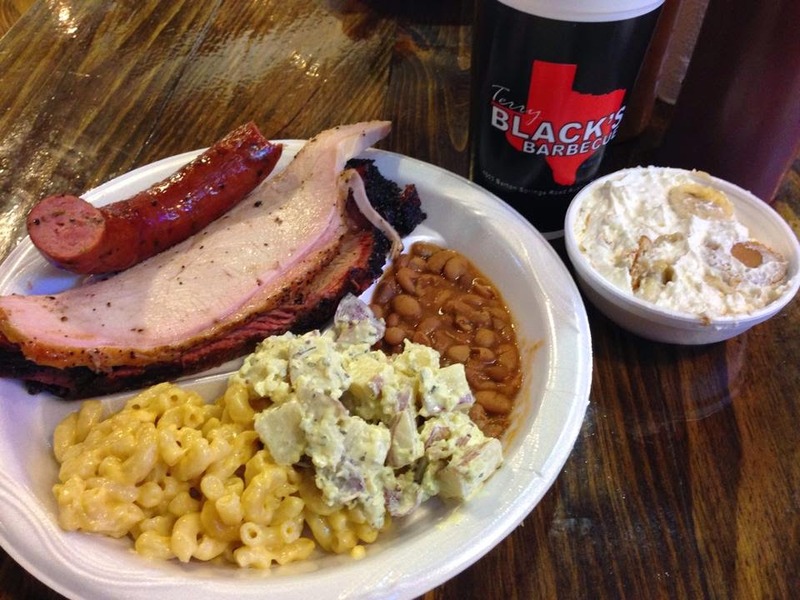 Terry Black's Barbecue opens in Austin. Austin is now home to yet another BBQ joint. Yesterday, Terry Black's Barbecue opened its doors at 1003 Barton Springs Road. They are open daily until 9PM. Check them out on their website (under construction), on Facebook, & on Twitter. Curly's Carolina, TX set for Gettin' Sauced! We are so pleased to announce Curly's Carolina, TX (Round Rock, TX) will have a booth at this year's 5th annual Gettin' Sauced! festival! Curly's joined us back in 2012, and we are so thankful they are choosing to take time out to join us again this year. Make plans to visit with them at the festival and try their Texas- AND Carolina-inspired BBQ. And be sure to follow them on Facebook and Twitter! South Austin Brewery at Gettin' Sauced! We are so pleased to announce South Austin Brewery will be present at this year's 5th Annual Gettin' Sauced! festival! It is our first time to team up with South Austin Brewing, and we are stoked to do so. We greatly appreciate their participation, and we hope you will visit with them at the festival and that you will check them out on Facebook and Twitter! Honest Tea at Gettin' Sauced! We are so excited to announce Honest Tea will once again be present at our Gettin' Sauced! festival! They've been with us for several years now, and they are a wonderful partner. They are so generous and so friendly. We are truly grateful for their continued support and participation. As always, a range of cold Honest Tea drinks will be on hand to wash down all the BBQ you eat. Be sure to try some, and be sure to check out Honest Tea on Facebook and Twitter! 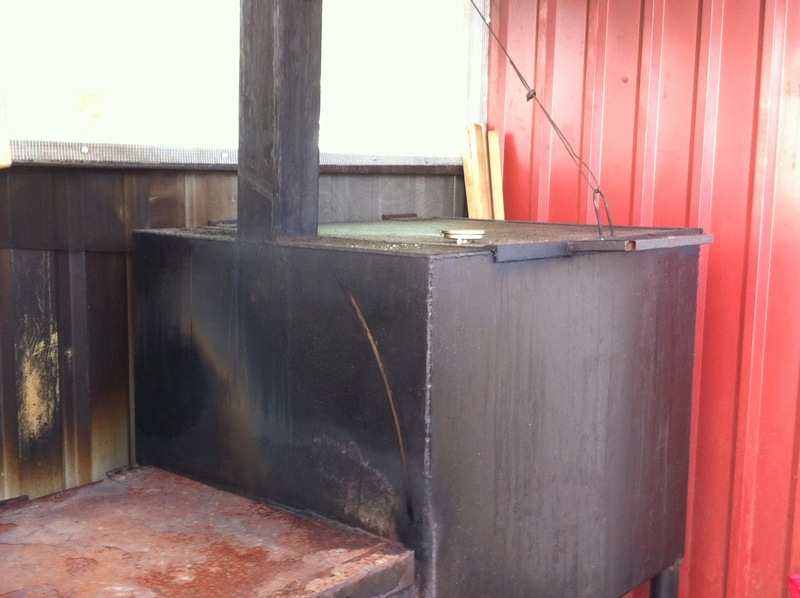 When it comes to barbecue, we're starting big. Whether it's bittersweet with mesquite smoke in West Texas, long-smoked with hickory in East Texas, or served barbacoa-style in that ribbon of land where the south of Texas meets Mexico, the Lone Star State earns its reputation as a barbecue mecca. Where to Get It: Consistently claiming the top spot on "best of" lists, Franklin Barbecue in Austin has been called "barbecue nirvana" by Serious Eats for its famously tender brisket piled high on wax paper. Lines commonly wrap around the bright-blue¬-painted building by 9 a.m., so get there early and bring reading material--or a lawn chair. Overall, the Texas capital has become something of a barbecue destination, and insiders say John Mueller Meat Co. and Stubb's, with its live indie music, are well worth visits, too. A half hour away in Lockhart, Kreuz Market, serving up sauceless barbecue, has been a favorite for some 75 years, while in Driftwood, locals and tourists crowd The Salt Lick's communal tables under glowing strings of festive lights for brisket and snappy sausages from a circular stone pit. Elsewhere in the state, Dallas brings us legendarily no-frills Pecan Lodge, where a brisket-and-fried-chicken lunch is best capped off with creamy banana pudding (and a nap). Stanley's Famous Pit Bar-B-Q in Tyler is known for $3 breakfast burritos that make eating barbecue twice in one day a completely reasonable undertaking. And starting at 4:30 every morning way down south in Brownsville,Vera's Backyard Bar-B-Q slings traditional barbacoa wrapped in corn tortillas and topped with mini mountains of fresh salsa. The takeout joint has no website and its location is more than a bit remote, but it comes with a Texas-sized cult following. Every few years, Texas Monthly rounds up a list of its 50 best barbecue joints (and agrees with us that Franklin is tops). Take a gander and start planning a cross-Texas road trip. We are so thankful to be included in today's post from Zagat Austin about summer BBQ events here in Austin. 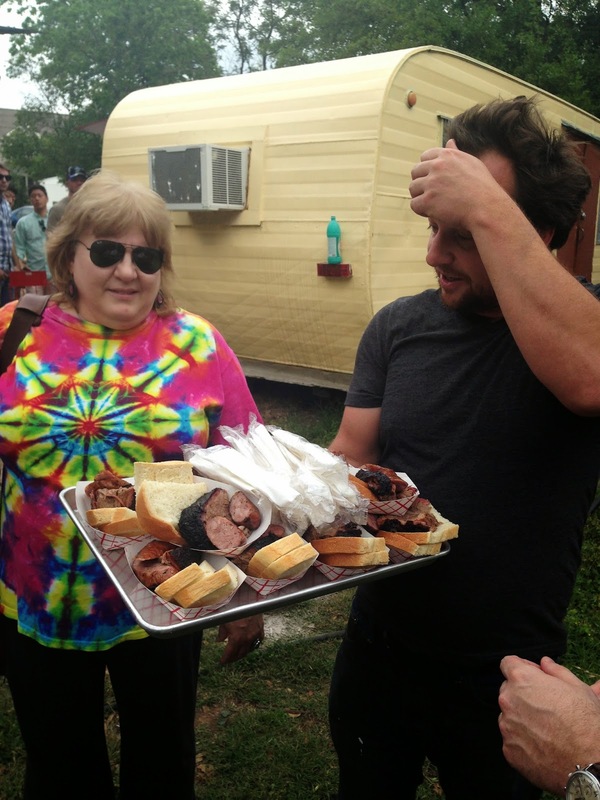 Our all-inclusive June 28 Texas Q Tours trip (We opened a 2nd van, so a few tix are still available.) and our 5th annual Gettin' Sauced! festival are mentioned. We are honored to be highlighted by Zagat Austin, and we sincerely thank Megan Ziller, who runs the site. 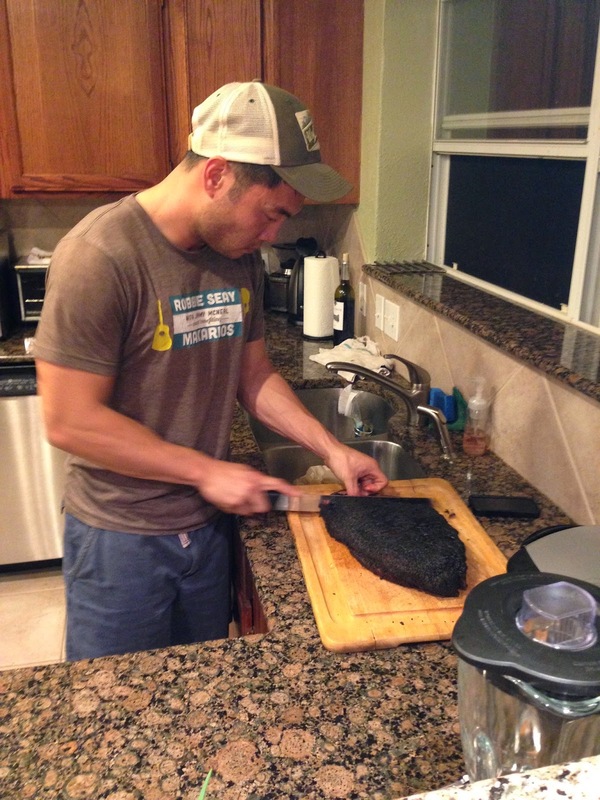 What is the best grocery-store brisket in Texas? 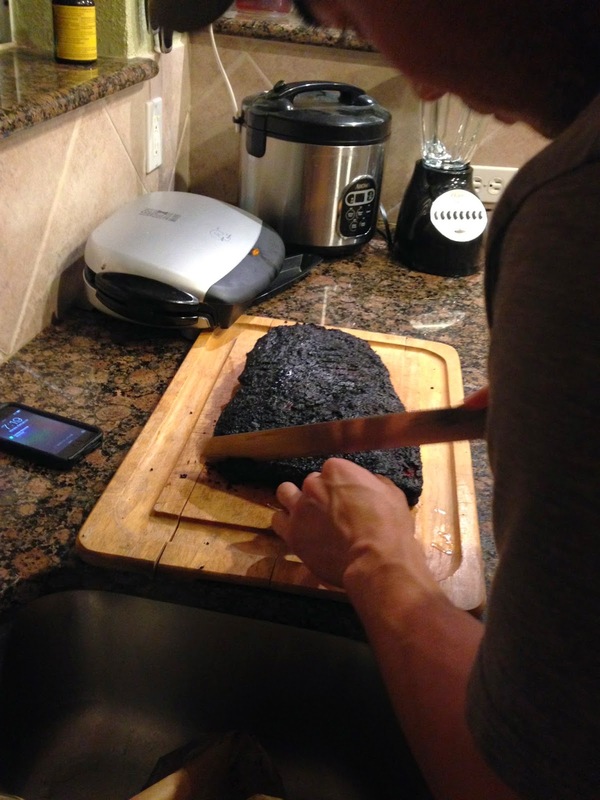 This weekend, I ate some fully-cooked brisket this weekend from HEB (pics to come). I'm curious to read what you feel is the best brisket for sale at a Texas grocery store. Not from a BBQ joint. Not from a caterer. Not from a stand-alone meat market. 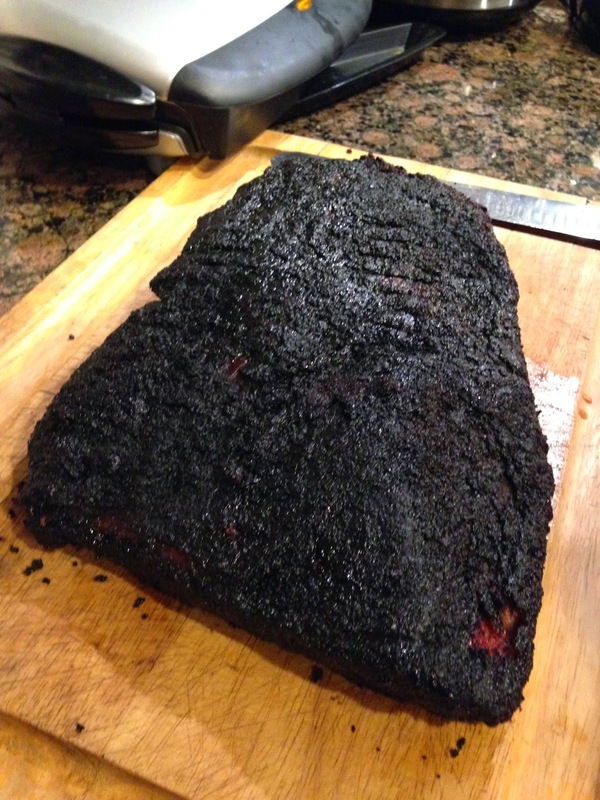 Rather, where's the best brisket from a general grocery store? And, to be clear, I'm talking about a packaged whole brisket, not brisket from the grocer's deli. Opie's Barbecue to serve at Gettin' Sauced! We are pumped to announce Opie's Barbecue (Spicewood, TX) will have a serving booth at this year's 5th annual Gettin' Sauced! festival! Opie's joined us last year, and we are so grateful they are kind enough to join us again. Get ready to stop by their booth, eat their BBQ, and hang out with them. In the meantime, follow them on Facebook and Twitter! Independence Brewing Co. at Gettin' Sauced! We're stoked to announce Independence Brewing Co. will have a table at this year's 5th Annual Gettin' Sauced! festival! Independence was the wonderful host of our 2nd annual festival (the hottest yet, so their cold refreshments were even more in demand than normal). They were a fantastic venue, and they were awesome to work with. We so appreciate they will join this year at Shady Springs Party Barn on Sunday, October 19. Make plans to stop by and visit with them at this year's event. In the meantime, check them out on Facebook and Twitter. 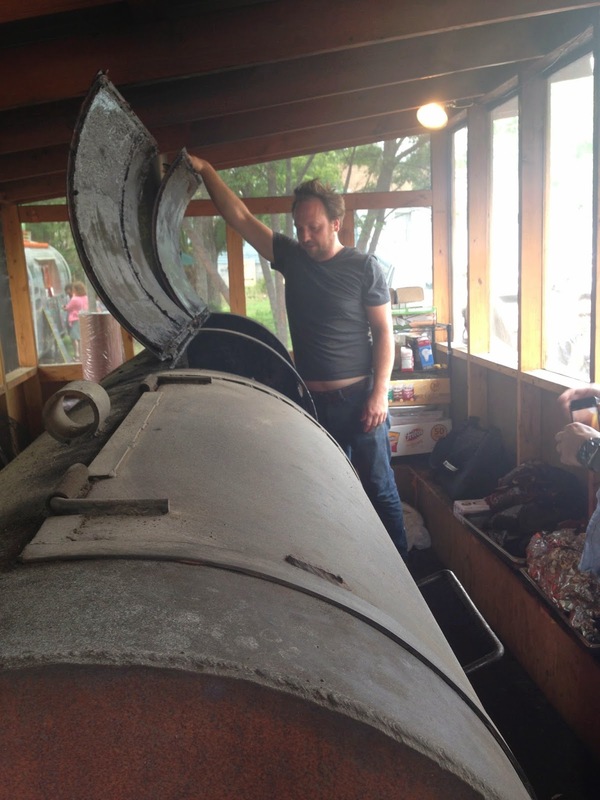 The 3rd & final BBQ stop of our public Texas Q Tours trip back in April was Micklethwait Craft Meats (Austin, TX). 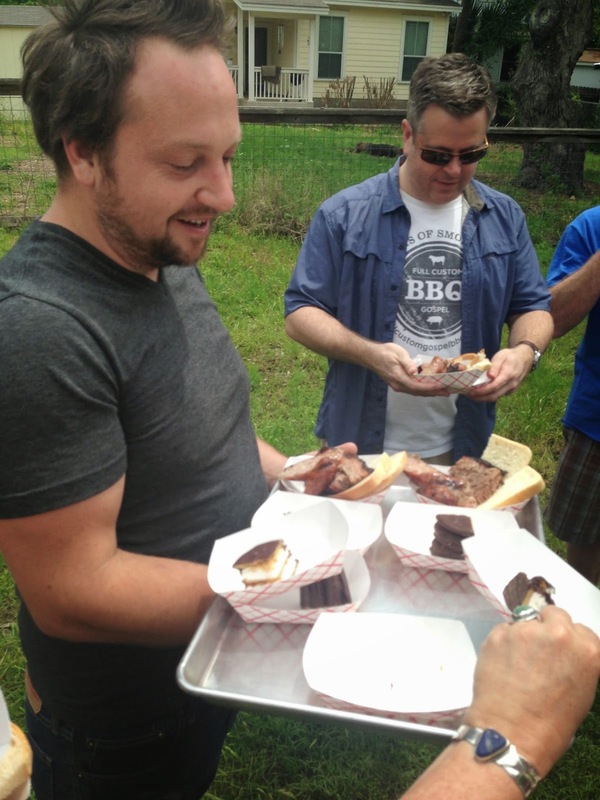 Before touring the pit (pics to come), our folks downed Micklethwait's brisket, sausage, homemade bread, & homemade moon pies. 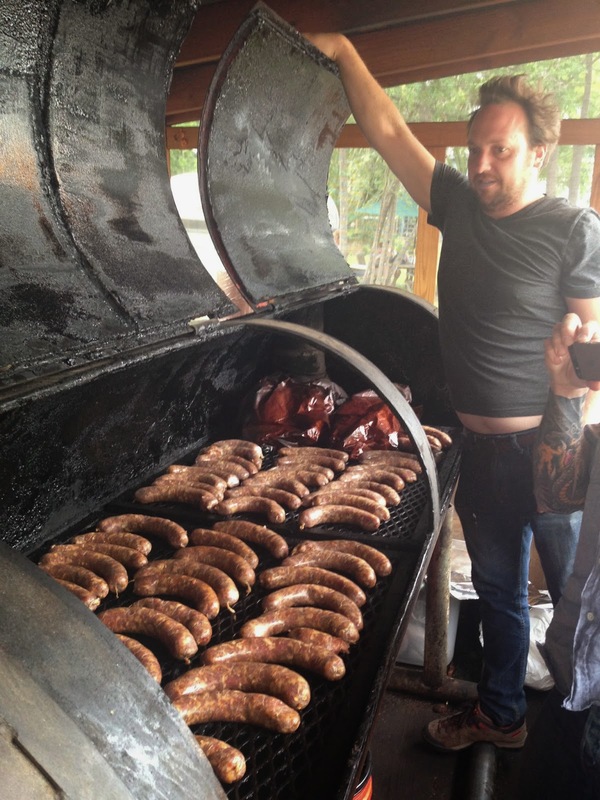 Yesterday, I posted Mike Sutter's Top 10 Austin BBQ joints. If you haven't seen it, click here now. It's obvious Mike put a tremendous amount of time and effort toward creating his list, and his list is getting lots of buzz, as it should. Today, I want to know your top 10 list. For real: TEN joints, listed in order from 1-10. Go. 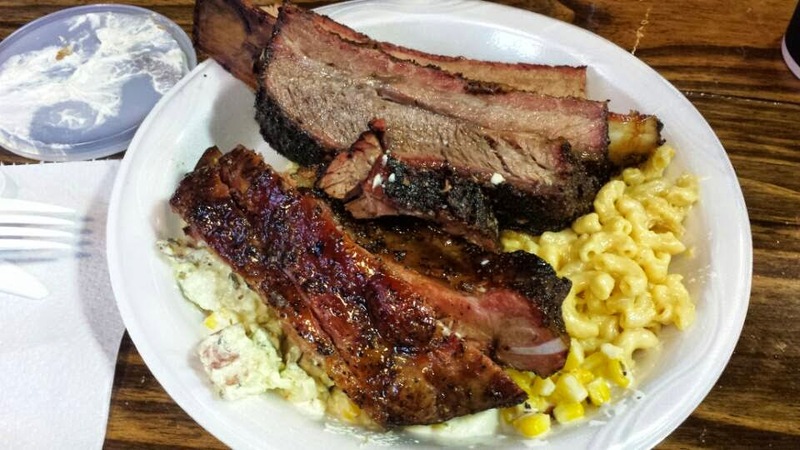 Mike Sutter, who writes at Fed Man Walking, has released his Top 10 BBQ list for Austin. Each of the 10 has a short writeup and a great view-from-above picturs of a tray of meats and sides. What do you think of his list? Louie Mueller Barbecue at Gettin' Sauced! We are excited to announce Louie Mueller Barbecue (Taylor, TX) will have a booth at our 5th annual Gettin' Sauced! festival! Like the other joints joining us, Louie Mueller Barbecue has a slammed schedule but is gracious enough to take time out to be a part of our event. We are so grateful, and we encourage you to stop by their booth and hang out with them. And follow LMB on Facebook and Twitter! Saint Arnold Brewing Company at Gettin' Sauced! 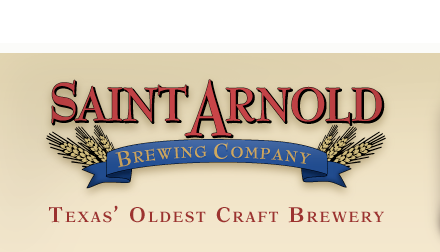 We're so excited to announce Saint Arnold Brewing Company will be present at this year's 5th Annual Gettin' Sauced! festival! Saint Arnold was with us the very first year of the festival - In fact, they were the only brewery at the festival. - and we are honored they will be hanging out with us again this year at Shady Springs Party Barn on Sunday, October 19. Make plans to stop by and visit with the nice-as-they-come folks from Saint Arnold! In the meantime, check out Saint Arnold on Facebook and Twitter. 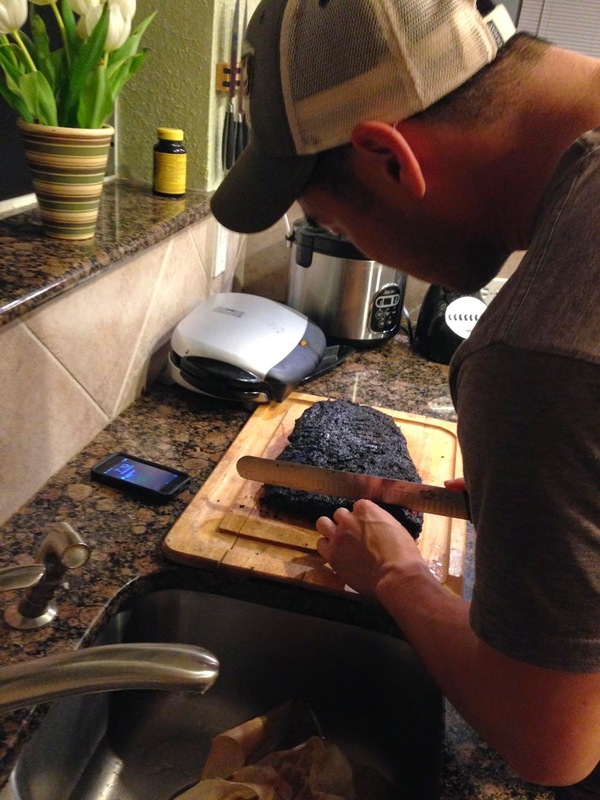 My buddy John can smoke a brisket. Yesterday, I posted a couple of Texas BBQ videos produced by Zagat. The folks at Zagat also put together a Texas BBQ family tree, of sorts, charting many of the connections between/among Texas BBQ joints. Check it out. 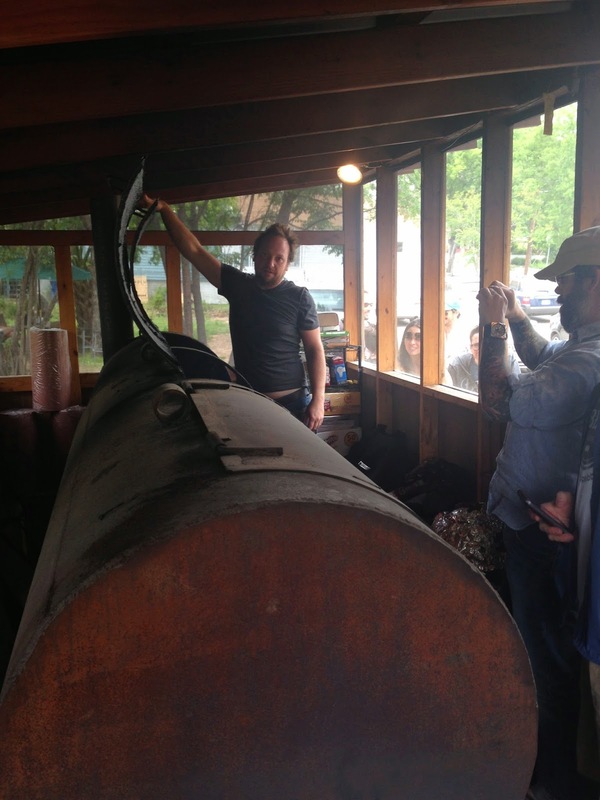 Zagat just posted a 2-part video series on Texas BBQ: Texas BBQ: From History to Hip. Among other things, the videos explore the ideas of old-school BBQ vs. new-school BBQ here in Central Texas. I'm honored to have been interviewed for the piece and appreciate being included in Part 2. Great job, Zagat! Rest of the pics from the marathon meal I had with Chef Neil Rankin at his London restaurant Smokehouse. Sincerest thanks to Neil for being such an amazing host. Black's Barbecue at Gettin' Sauced! Porky's Trailer (Austin, TX) has closed.